Exit Strategy NYC is a mobile app available for the iPhone, iPod Touch, Blackberry, Android, and Kindle that helps you decide exactly where to stand on the subway so that you’ll be closest to the exit, saving time on your trip. Taking the 6 train uptown to Grand Central? Ride in the 8th car for the best exit to the Main Concourse. Need to transfer to the L at Union Square from the N downtown? Ride in the 1st car. 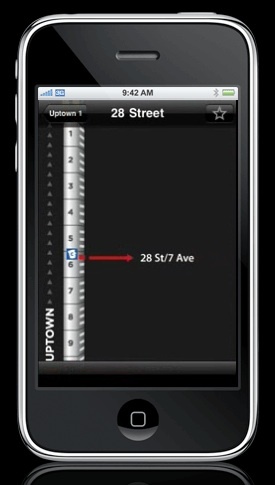 Detailed diagrams eliminate the guesswork and frustration from your ride, making your subway trip easier and faster. Be prepared, beat the crowds. Thanks to Jason Laskodi for the tip!